In Singapore, there is a tradition to toss a kind of raw fish salad called "yusheng" during the Lunar New Year to symbolise an increase in abundance for the new year. It usually contains strips of raw fish (usually salmon nowadays), mixed with shredded vegetables and a variety of sauces and condiments. We usually do one round of tossing at home and at work. When you toss, you should say something auspicious and the higher you toss, the better it is. 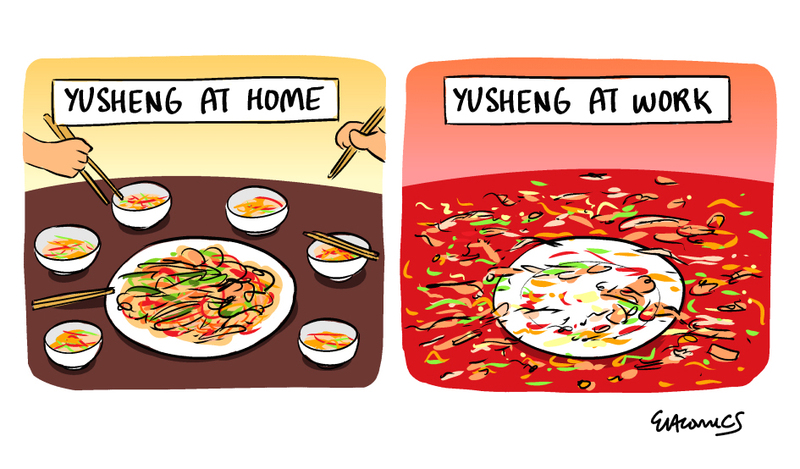 But because the yusheng we toss at home is paid out of own pockets, we tend to be more careful in keeping the ingredients within the plate. But at work, because it's paid by company, most of the ingredients usually land up on the table and in a mess, which is a waste of food. 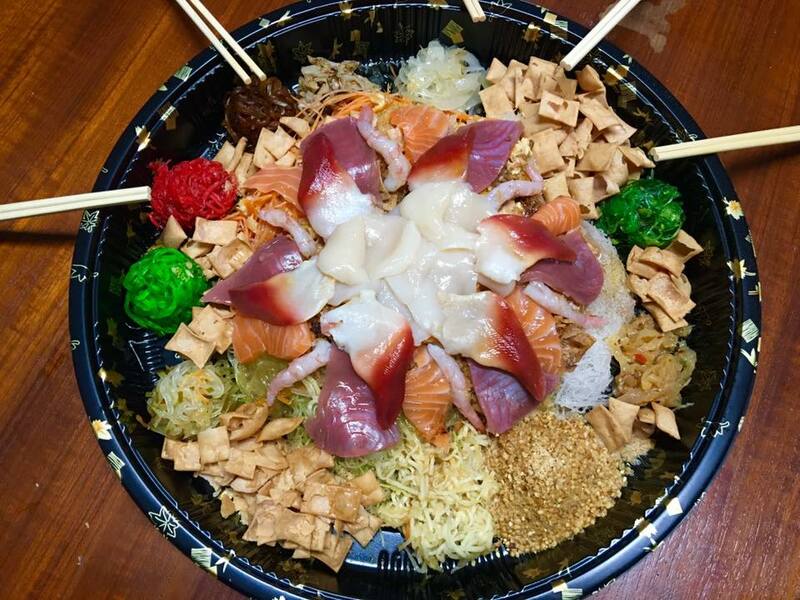 The above is my family's yusheng, which is proudly sponsored by my brother 😋 He ordered extra seafood sashimi so it can look better on photo (haha we have a vain family). It was nice but we think just salmon is enough. 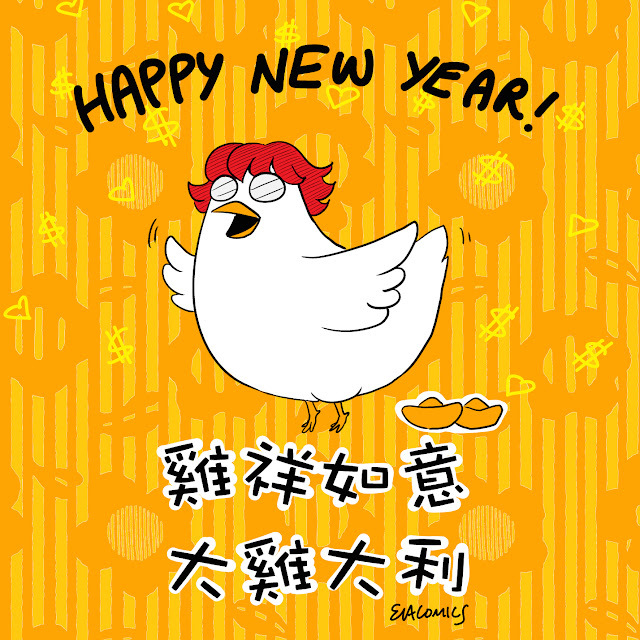 Actually this year is my year, which is the Rooster! Wishing everyone good luck, good health, good fortune and love! 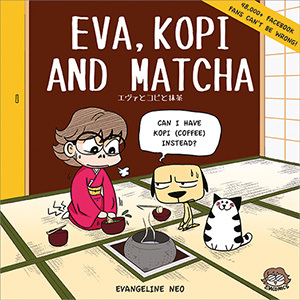 I hope my 3rd book will be a best seller, bookstores don't give me headache and book 4 can be successfully planned for the international market!